The MCP73855 is a highly advanced linear charge management controller for use in space limited, high-performance applications. 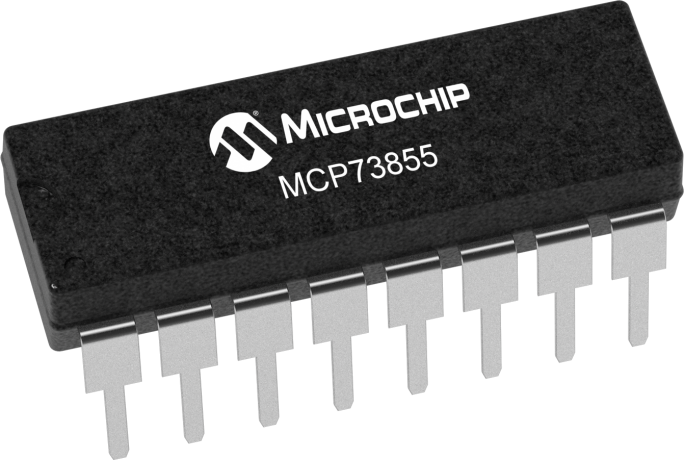 The MCP73855 integrates most of the external components (pass transistor, reverse blocking protection, current sensing) and combines high-accuracy constant voltage, constant current regulation, cell preconditioning, advanced safety timers, automatic charge termination, and charge status indication in a space-saving 10-pin, 3 x 3 DFN package. The MCP73855 is designed specifically for USB applications, adhering to all the specifications governing the USB power bus.